Learn how to make Lightroom do the work to switch your crop between portrait and landscape, by maintaining your chosen aspect ratio. 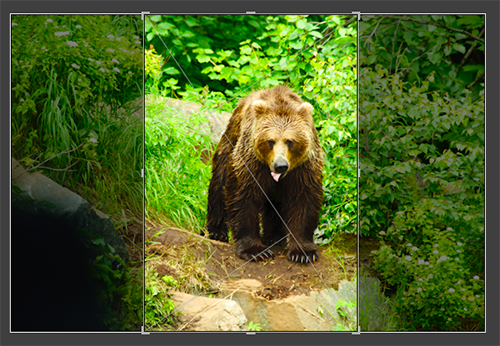 There is an aspect of the Lightroom crop tool that is not as intuitive as it could be (based on how often the question gets asked), and that is how to change the orientation of the crop rectangle. Select the photo and press R to jump to the Crop tool. Choose the aspect ratio you want to be applied. Close the lock icon to "lock in" that aspect ratio (press A to close/open the lock). Grab a corner resize handle and drag to the opposite corner along the longest edge, until the orientation of the crop rectangle flips. Since the aspect ratio is locked in, as soon as you decrease the length of the long side to the point that it is no longer the longest side the orientation has to switch to maintain the aspect ratio. Once the orientation has changed you can re-position the photo for best composition. Believe me, it is easier to do than explain! Give it a try.